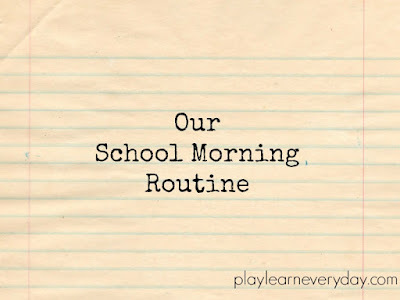 I may have mentioned it a few times already, but Ethan is starting school soon and it is seriously time for us to get ready! We've done everything on our to do list and now it's just time to wait for the big day to arrive. I know that Ethan is ready, he's nearly 5 now and he's very confident at preschool and definitely excited for the next challenge. It's me that's not ready, I'm going to miss my little boy every day and I literally have no idea how we're all going to be up and out so early five days a week. So, I've got a plan! 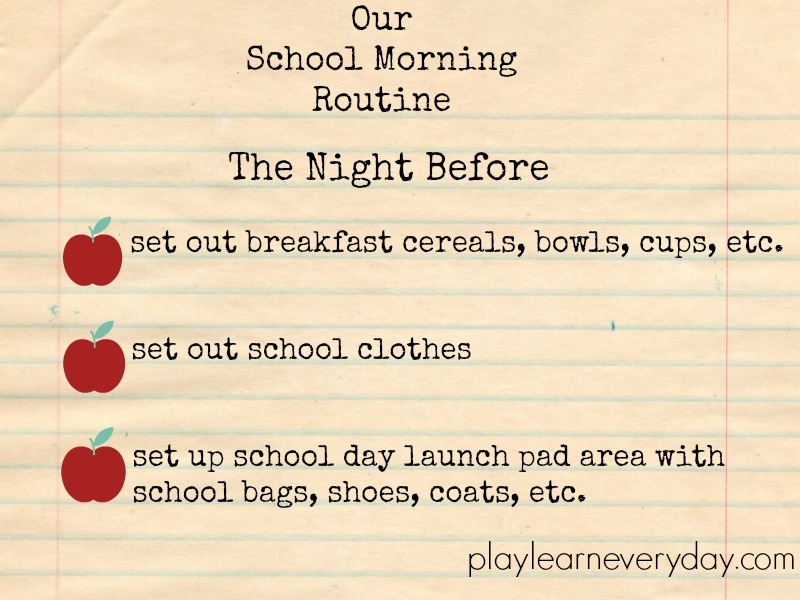 For me it's all about being organised, so I've got more lists to get me organised the night before and on school mornings. 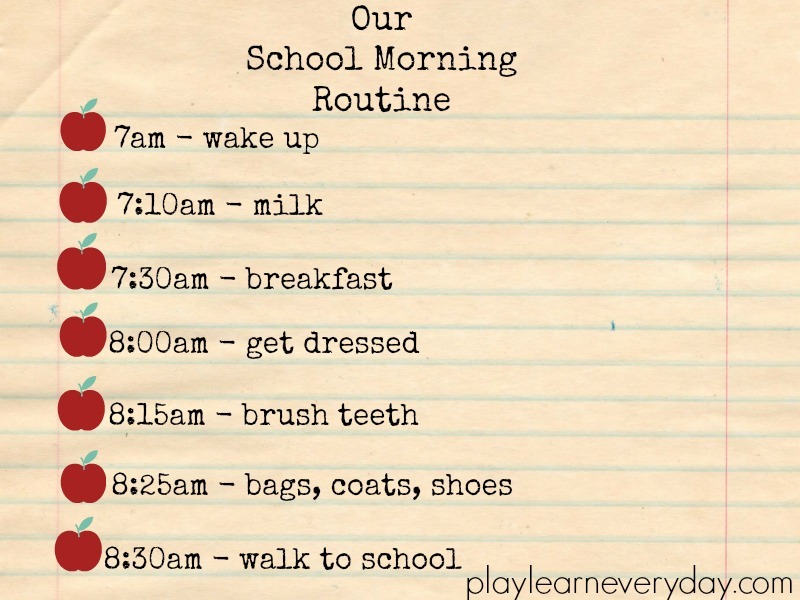 We're also going to get up early and go through our routine the week before Ethan starts school so that we're not panicking on the first day. 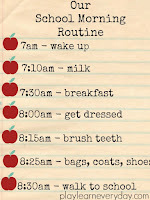 In the evenings I will be setting up everything that we'll need the next morning. Breakfast things will be out (except for milk and fruit which will come out of the fridge in the morning). 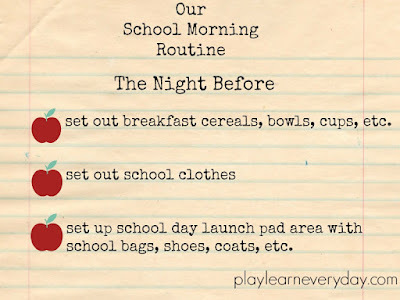 Clothes will be set out in the kids' rooms and I'm even working on making our own school day launch pad after being so inspired by this launch pad from The Organised Housewife and this backpack station from Life as Mama. 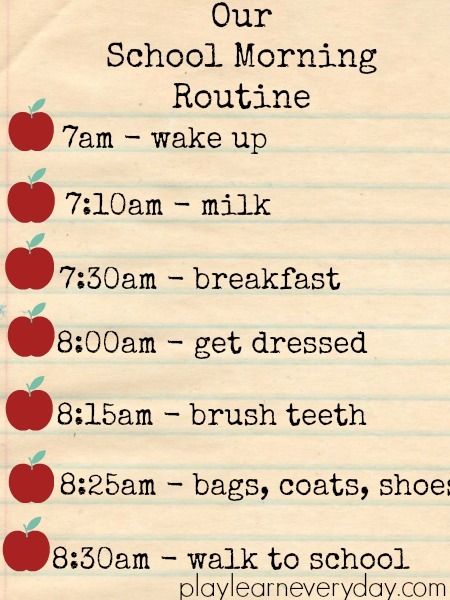 We'll also have a few shortcuts up our sleeve just in case! Ivy is not the fastest eater so I'm going to have some of our favourite breakfast cereal cakes ready in case we need to have breakfast on the go. 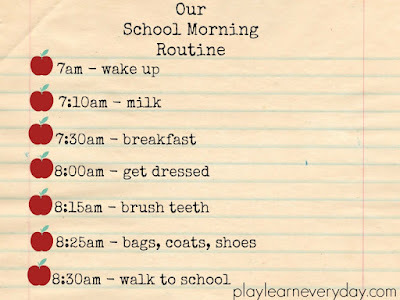 I'll also dress her in her cutest pyjamas those first few nights in case she has tantrums and won't get dressed for the school run, ha ha! 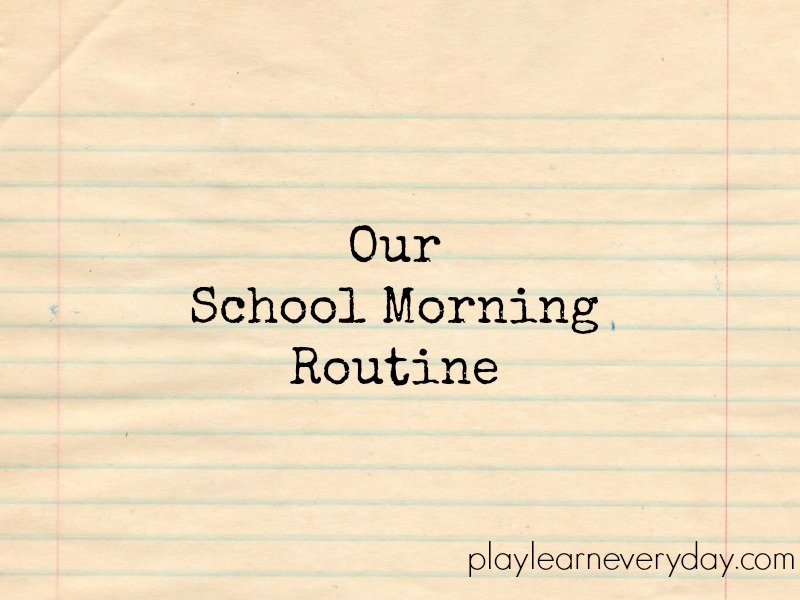 What's your school morning routine look like? Am I missing anything important?